In her heart of hearts, this wasn't the path Kuanastha wanted to go back down. Working for Shadow Fall, doing Mana and Inami favours with less than moral objectives. Even now, she hasn't really pledged allegiance to Shadow Fall once more. Yet, the hybrid came to terms that even in spite of her personal values and morals, the thing she holds to the utmost importance is her family. So, even if its work she wasn't keen on, if it's at least for the family, and in their interests--to Kuana's perception--she'd grit her teeth and do what needed to be done; and what needed to be done in this moment, was to have the Gotei fall once more. In these recent years they'd been making a clear return to form. Their organisation was much steadier now, arguably more than even before the Incursion, and their capacity to operate extended so far as to do so on Earth. For example, the events in America. Shadow Fall knew what was going on, and it was hard not to notice when their territories were being overtaken. The only reason they didn't send a proper response back was for this very strike. Feign ignorance--or incomptence--towards what was happening in America to draw their attention away, let them sit in complacency. Their conniving strikes would be their downfall--a war they'll lose, even if they started it. The outer edges of Eastern Rukongai was to be ravaged. Utterly, disgustingly, distraught. At the command of her will, millions of demons ran through the outermost district straight out the gates of their portals directly from their homeland. These denizens would surely remember the events of four years ago, and just how fearsome Shadow Fall's might truly was. The years of peace in this realm would never be enough to wash from their mouths the taste of blood. In contrast, the amount of destruction wrought served to empower Kuana, every place where chaos reached was established as her domain, and whatever was in her domain was at her command. The dimensional energy pouring through her every pour slid about like appendages, absorbing the entropy building and swinging about in its own destruction, lashing buildings and souls about, such that the density of bloodshed turned to mist, and that mist turned to the sky, darkening their world. The Gotei has seen its fair share of invasions in the past, and while those who oppose them may now think it a wise idea to simply walk into soul society, that line of thinking is flawed. Yes, it was possible in the past, when leadership was sub-par, and when the members were less capable than they are now, but that is no longer the case. Even when most of the higher ups are occupied, there are still lines of defense. Having felt this disturbance from afar, Shunsui determined that the best course of action would be to manifest Katen directly in opposition to this attack, as he was otherwise occupied at the moment. In fact, the reason he'd remained in soul society in the first place was to make sure something like this didn't go unaddressed. As Katen materialized on the scene she immediately let out a truly massive burst of spiritual pressure, which would without a doubt cause a huge disruption to the demonic forces now pouring into her home-world, most likely even disturbing some of their portals. She was truly operating at max output, as she shared the same line of thought as Shunsui, and was just as dedicated and devoted to upholding their promise, which was that Soul Society would never again fall to outside forces. In pursuit of the most important mission she had, Katen was certainly more dangerous than she would be in any other situation. In addition to the burst of spiritual pressure, she opened up with a Bushogama. Aiming directly at the most concentrated mass of demons, sending countless of their number straight back to hell. Of course, she wouldn't be the only one there to oppose this onslaught. She called for the majority of the general members of the fourth division to come to her aid, confident that she could hold things here until her reinforcements arrived. In the time before they did make their appearance, she truly lived up to the name "God of Death" even if that wasn't technically her status, she was close enough. After wreaking havoc, Katen looked towards the one responsible with a glare of pure hatred and disgust until their eyes locked. This would, and could, not be forgiven. Those who opposed the Gotei, those who were so brash as to walk into Soul Society and wreak havoc, those who directly and without regret set themselves in opposition to the Gods of Death, they would understand true Heavenly Madness. The introduction of a new being on the scene was immediately noticed. Kuanastha had strengths and weaknesses. In the midst of chaos as her domain? It was all strengths, and her sensing abilities were top of the line, easily one of the best in all the realms. So even in the midst of the new beings materialisation, Kuanastha was not only aware but responding. Before the burst of their energy was even sent out, the demonio visera ordered the command to converge on that location. Of course, the execution of the command wouldn't be as immediate, but due to her issuing this command, the suprise and disruptive factor to the newcomer's flashy entrance was counteracted. In rapid response after their burst of energy, thousands of demons closest to the defenders' location rapidly closed in on them. It was customary to represent your goals; being in control of this entire region of Rukongai was one of them, so it was only appropriate to treat it as theirs. Most demons were prone to causing chaos; diametric to her own abilities in a certain sense, Kuanastha was different in that she was much more comfortable when in control. Any variables so much as potentially threatening that was to be gutted out mercilessly, and carefully. So naturally, Kuanastha wouldn't ever just rely on her troops to perform her will. She'd use them, but she wouldn't presume them to achieve it in one go, so added to her command to converge, the hybrid was sure to assess the target herself--and the reinforcements they called upon. With a healthy breath of Za Koa energy permeating throughout the several districts, the Asthavon blinked her eyes, opening them to see all the Karma Threads snaking about all of reality. Through these threads, Kuana was able to grasp all the information she needed: who the defenders were, the extent of their prowess, and for quite a lot of them the nature of their abilities. This included the one bursting their spiritual energy willy-nilly, essentially exposing information of themselves without reserve. "Captain Kyouraku Shunsui, hm? Wait, no--that's not him? That makes things easier, then. Actually, if it's a manifested spirit, that makes it barely a factor." Almost as soon as Kuana spoke these words, the spirit's attention--Katen, as it would seem--offered quite the glare. Not that it mattered. Especially if the spirit wasn't keen on making a proper retaliation--as Kuanastha thought, barely a factor. While her demonic forces were sent to the deal with the fourth division's appearance, rather than letting them deal with them entirely of their own accord, the hybrid counted on them at least having them deal with the frontward forces. Kuanastha would take care of the ranks within. Through her karmic threads, sent out and manifesting from the ground, the air, and the bodies of the shinigami soldiers as they entered the outer districts--her domain, and therefore zone of control, Kuanastha wrested power away from the enemies behind their front-most offensive. Attempts for them to utilise their kido, hakuda, even attempts to utilise their shikai for any that had it fell short. Through this vulnerability, Kuanastha had these karmic threads turned nether threads puncture through their bodies, destroy their lives to their very core, and fill their lifeless corpses with the nether threads, now dolls under her control. Of course, considering Kuanastha could take their abilities away, she could also reinstate them--even posthumously; with the help of the Nether's conscience automating and controlling these dolls without forcing strain on Kuana herself, the surge of fourth division's shinigami approaching the battlefield turned counter-intuitive. Now, the shinigami would have to fight amongst themselves as well, dealing not only with Shadow Fall demons, but also their own kin. "Like I said, Katen. You should've steered clear." Katen watched as the Shinigami of the fourth division were lain to rest. Instead of staying down however, they seemed to want to keep fighting. Unfortunately, they were no longer fighting for her. Well, that just wasn't acceptable. She ordered the remainder of the forces with her at the moment to fall back somewhat, and to maintain their line behind her. In this way they could continue to attack from range, if they were able to do so, but they would not interfere with her own ability to decimate the opposing forces. She was heavily surrounded at this point, but still held little concern. Demons such as these were as nothing before her. Sure, they had numbers, but her own ability so far outclassed their own that they might as well not even bother. If it was expected that she would be overrun because of this onslaught, well, the expectations of her were rather low then. 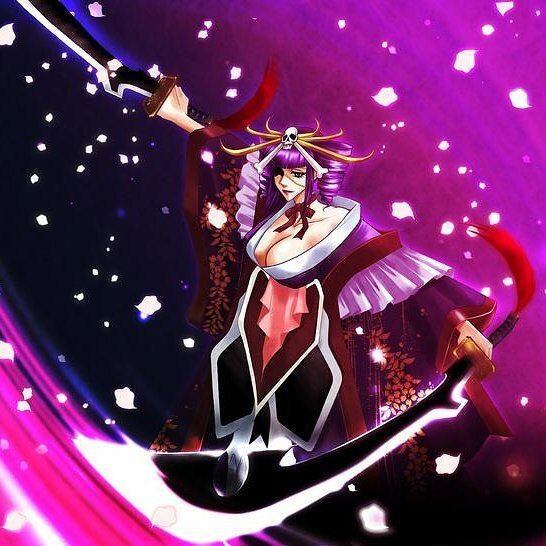 She considered using one of the other abilities at her disposal just to keep things interesting, but in the end she determined that in this battle her Bushogama would almost always be the most effective of the techniques at her disposal. With no hesitation, regardless of some uneasiness from the forces behind her, Katen once more spun viciously and let out the twin tornadoes that would mow down any in their path, former Gotei or otherwise. One of these tornadoes wrought havoc upon everything directly in front of her. It did not take care of the entire crowd, as it did not have the reach, although it almost certainly could have had they all decided to bundle together. When this tornado reached the end of its path Katen could see clear through the approaching horde. The other tornado however, was directed not at the mass of weaklings, but directly at the one responsible for this. Although it was small, the tornado was incredibly intense, and wailed angrily as it approached its target. In whatever aftermath of those attacks, Katen would speak clearly and eloquently, her voice easily loud enough to be heard over the commotion of battle around her. "Do not be so presumptuous as to warn me to steer clear of an area that is essentially a room in my own home. If you leave now we will not chase you down. You have a limited amount of time before I'm the least of your worries though." She was, of course, still able to communicate a very small amount with Shunsui, and had already informed him that he would almost certainly be better serving his purpose by reacting to this attack instead of the one he was dealing with presently. He would surely arrive momentarily. Until then, she would make sure that nothing got past her. With a disapproving sigh the young boy opened his eyes, they were adjusting to the dark room that he had woken up in, his ears already full of the screams of untold thousands. He had been called back, his time spent trying to listen and comprehend the word of Truth had been cut short yet again. Without even sitting up he knew where he was, his angelic abilities granted him such knowledge, he knew hordes of demons were attacking, he knew they had one singular leader in this area, and lastly he knew one spirit was defending the area. Next wind blasted his face as the ceiling he was staring at was ripped to shreds, debris falling around him and the semi dark room opening up to a scarlet sky of blood, it was war. It's always war, every time I'm pulled back it's war, Iceland, Brazil, The far east, now soul society. I just want to stay gone. Just as quickly as he had the thought he pushed it from his mind, maybe staying gone wasn't the answer, maybe he needed to be more involved to one day stay gone a lot longer. His second sigh came out as he sat up, splinters of wood and singles falling off of him, without any undo effort he climbed out of the hole in the building and stood in the middle of the street, a seething mass of demons barreling down on him and all others around, blood soaking the streets and through his shoes already. "Time to go to work." His right hand shot out and a blast of golden light encompassed the area, in less time than it would take to blink he was through the horde around him, his right hand still held out and the demons gone, now in their place many purified spirits stood dumbfounded as Carter had exorcised them with no effort. The demon controlling them would feel chaos vanish in an instant as a large mass of her demonic foot soldiers were brought back into order. Carter knew it and smiled at what else he knew, she wouldn't be able to tell who or what did it, the one perk of being an angel, the ultimate hunter of demons, was that he gave off no spiritual pressure. The seven angels of Truth had ways to circumvent demonic abilities that let them sense the environment, even if she were to look him in the eye directly she would see nothing but a very weak spirit among the newly purified crowd. Another step, his right hand coming across his chest and back out again before stopping, another blast of light as slain shinigami that had been risen again where put back to rest. With each movement he was careful to start and stop in pockets of spirits to use the herd to mask him until the attacks ceased, it was easy to cover his tracks but no point in taking unneeded risks. With that done he separated from the crowd. Shaking his right hand he returned it to his pocket before walking on, toward the two Tempests engaging each other. Demons were here and he had been awoken to defend his old home. His golden eyes lit up as he stood between two buildings watching the two fight, if would keep playing his game of cat and mouse, no need to reveal himself while he could put pressure on her from the shadows and bring her chaos back around on her in an unfavorable way. His left hand itched to unleash his zanpakuto and end this demon right away but something in the back of his mind stayed his hand, he could almost sense a type of remorse from the demon, that and he wanted to see if Soul Society had managed to step up its defenses or if he was simply protecting a weakened calf once more until the next wolf struck. Katen's command to have her allies fall back behind her was a valid response to prevent their confrontation with Kuanastha's demons, but the tactic only really responded to one factor to the onslaught. The numbers of shinigami turned puppet were behind the front-line, the forward-most offensive; therefore, even their partial retreat behind the zanpakuto spirit wouldn't stop the the progressive slaughter of the defenders. If anything, the tactical retreat only served to slow down the dwindling of their numbers.Of course, once one of her Shinigami-puppets were slain, Kuanastha manipulated her threads to move on and take command of the other slain shinigami. The more these puppets went on to slay their former allies, the more the number of puppets doing so would increase. The poor response enabled the progression of shinigami-turnover to spread like a plague, eliminating the Fourth Division members with extreme prejudice and speed. Naturally, the instant the tornadoes were summoned to carve through Shadow Fall's demons, Kuanastha took immediate notice. Though she didn't view them as a particularly urgent threat, it was in her best interest to prevent attacks on her own forces as much as possible. In response, Kuanastha summoned three dedicated dimensional-energy infused Cero Rastros, the condensed energies forming around her body before firing off towards their targets in speeds no less than the tornadoes themselves. Whenever the hybrid implemented her dimensional energy into her attacks, attempts at analysing their information or using ones senses to understand the parametres of the attacks would fall short. Save for hyper-specialised items or preemptive knowledge, these Cero Rastros were obscured from spiritual and supernatural senses, such that while others could see, hear, and otherwise normally perceive the oncoming blasts, the amount of energy poured into it or the special effects would be unknown. That said, normally summoning three of them, especially with the amount of power she infused in them, would prove taxing for the demonio visera, but the fact that chaotic circumstances served to empower her, on top of the vicinity having already been established as her domain, the energy drain was minimalised. In terms of energy costs, the most she lost out on was from the infusion of dimensional energy. The three blasts had three separate targets: the two tornadoes and Katen. Upon contact with the tornadoes, the natural energy draining effects of the Cero Rastro came into play, essentially breaking down and diminishing the energy used to sustain and summon the two tornadoes. 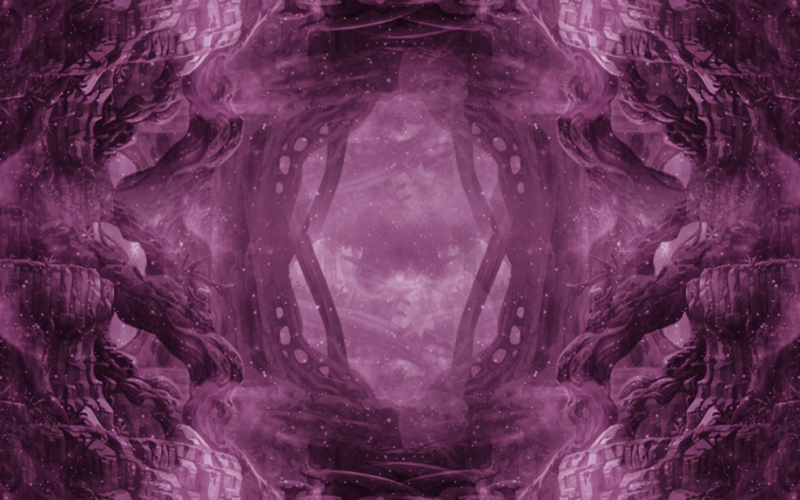 This effect was accentuated by the infusion of her dimensional energy which naturally conflicted with other energies, serving to further break down the oncoming tornadoes. The third effect which eventually enabled the Cero Rastros to match and eventually dissipate the tornadoes was the explosive quality of Kuanastha's dimensional energy. The blasts of energy exploded on contact with the tornadoes, such that once the energy that fueled and sustained Katen's attack was degraded and broken down, the force of the explosion enabled the torrential winds to dissipate. "If you hadn't noticed by now, this is no longer your home. It's only the ravaged remai--." Kuanastha's words were cut short at the notice of another powerful presence around the area. She held some reservations on how they were present without her noticing, but the woman cast aside her confusion for the moment. It was more urgent to actually respond to the person themselves rampaging about. This held even moreso true when she noticed the nature of their being. "An Iramasha Angel? No, a real angel." Just as she spoke her thoughts aloud, a golden beam of light shot out from one of the houses in the area. Through her perception of their karmic threads--Carter, from what she could gather--this much could be understood. Fortunately, despite being a hollow-demon hybrid, not all of Kuanastha's abilities and assets relied on her racial abilities, or even demonio visera energy. Karmic threads weren't constructs of her energy or even explicitly her own machinations, after all. Therefore, the angel's blockade of demonic sensing held, such that Kuanastha couldn't gather information about him and the surrounding environment through her demonio-visera perception abilities, but it wouldn't apply to her karmic threads, and especially not her domain. Unfortunately, it was an unaccounted variable for one of Truth's Angels to appear, and the suddenness of their actions successfully caught Kuanastha off guard. That said, she wasn't able to defend all her demons, but the establishment of her domain enabled her to keep a good portion of her forces defended, albeit visibly weakened. The reason being, and evidently unaccounted for by the angel, Kuanastha's established from her visera demonio energies. It was her dimensional energy that established her domain, maintained control of the area, and most importantly facilitated the chaos of the area. Thus, his attempt to restore order to the area proved less than adequate. Wherever her dimensional energy pervaded, wherever the Imaar existed, chaos and entropy would be facilitated--and entropy was a natural, universal law. Of course, Kuanastha herself wasn't explicitly aware that this was the Angel's intentions, and for that reason his inane smile came off as creepy more than anything. Definitely arrogant and presumptuous, but it seemed out of place nevertheless. Whether or not they were aware, Kuanastha's eyes immediately honed in on Carter, moving about through the spirits in incognito fashion. Normally this tactic might be facilitated by the darkness of the area, her domain and spreading chaos accentuating it, but considering his actions were always accompanied by a pulse or blast of light, the angel was as stealthy as a lighthouse. The hybrid genuinely wondered whether he was daft and unaware of this fact. Of course, a vulnerability of presumption was a vulnerability nonetheless; Kuanastha was fully intent on taking advantage of it. Without hesitation, she summoned yet another Cero Rastro, this one comprised entirely of dimensional energy, and immediately fired it off in his direction. The demon responded with her own attack to repel Katen's Bushogama. That was to be expected. What intrigued her was the fact that she could get no indication from the attacks themselves as to how much of a threat they were. One of these attacks was headed straight towards her, so obviously she moved out of its way. When she saw that they were able to match her Bushogama, she was assured that this had been the correct decision. Katen was growing more and more tired of this situation. Seeing that the risen Shinigami had been put fully to rest, and that the demonic forces had been considerably lessened in their ability, she decided that now was the time to act directly. Of course, she didn't quite know why this was the case, but that hardly mattered. If there was someone helping from the sidelines, so be it. She had no reason to complain about that, and she had no time to investigate it. She would find out exactly what had happened later, or Shunsui would, and then she would know regardless. The remaining Shinigami she simply sent into the shadows, using her ability. They would not be able to return to the fight most likely, but they hadn't been of much help to begin with, and she could now maintain a constant pressure that these low level demons would find almost impossible to deal with. Even the one leading them may experience some of the force of this, although obviously not to the same degree. With that out of the way she would make use of the greatest speed at her disposal, using a shunpo as well, to close the distance between herself and this intrepid invader. Using the force generated by the speed she'd been able to amass, Katen would swing her blade horizontally, across the midsection of this demon, before also hastily retreating to a reasonably safe distance. She did this because she had very little knowledge of her opponent, and thought it best to remain cautious. Every battle Shunsui had been in she'd observed, and so she had the same battle experience he did. Because of this, she never acted rashly or foolishly in battle, as she had demonstrated just moments ago. He hadn't gone unnoticed, it was to be expected. This was an enemy that came hard at the Gotei, attacked openly, and had the advantage of numbers before his arrival. His golden eyes saw the faintest of shimmers through the air, like moving energy that snaked back to the woman in charge, the woman that he noticed was staring at him. Holding out his right palm Carter began to focus his Reiryoku , and without breaking his gaze from the woman that was stockpiling energy to send his way he held his own defense until she fired her cero. Noting the cero itself seemed formed from whatever energy was fueling her rifts and seeping into the environment he decided this was the correct way to deter the oncoming attack. “Hako Okuri.” With the words spoken an orange box appeared around the launched cero. At first he had planned to teleport it away, to send it far away but it would take too much energy and would have a much higher chance of failure, instead he opted for something very simple, simple and effective. The box vanished and reappeared in the same spot, the orange energy dissipating as the cero that was barreling toward him now flew back the way it came toward the caster, the kido used had flipped to trajectory and had required drastically less energy to preform since it had such a small space of movement. From there Carter decided to watch the Zanpakuto spirit move in for an attack, wanting to capitalize on the distraction Carter stepped forward, his body blending with the reddish light around him as he moved directly forward before jumping upward, his left hand on the hilt of his own zanpakuto. With a flash of silver his blade was unsheathed and coming in a second horizontal slash above and from the opposite point as the zanpakuto spirit's attack. With his blade added it was like the demon had been stuck between a death dealing pair of scissors. Taking note of how the Spirit attacked he positioned himself to the demons left side and made sure to control his movements so that way his attacked wouldn't carry through to hit his ally should the enemy dodge. A coy smile would play across his face as he spoke these words, in his experience a demon never gave up and he doubt she would be the first he encountered to do so. The fight would go on, but now some order was being brought to the chaos. After his strike ran through the woman, his golden eyes not fixating on her to see the extent of the damage Carter back peddled. He wanted nothing more than to engage in full on combat with this woman but he could tell all around the key to her defeat would be balance and order. Even as the battle moved he could sense her feeding off of the confusion and turmoil of the realm, it became paramount to him that his job wasn't to engage her head on while the Zanpakuto spirit struck true on her blow as well, the spirit alone was enough to keep her in check. It would fall on him to destroy the energy reserves she had that bolstered her strength by kneecapping her army and closing her off to complete chaos by turning the tables of this attack. First, demons kept streaming through portals, portals that seemed stuck in the space time of this area, he needed to stem the tide of demonic forces before he could clean them up. Closing his eyes for a moment he counted twenty rifts in the world around him, twenty blights upon this realm that he would purify and stitch close. Normally he would wait until he considered it impossible to get around it but in this instance too many lives were at stake, too much that he needed to stand for was being tested. He needed to release a little of his true nature. His pale, ivory colored left hand wrapped around the white cloth Tsuka ito encasing the Tsuka of his zanpakuto. With a deep breath the smile he was wearing vanished from his face and was replaced with a grim set frown, war was to be had. “Auferes Malum Occide Lumine.” He whispered, the release of his zanpakuto making the blade glow as the air grew dense around him. Focusing on his own energy he bypassed his Shikai and Bankai states going straight for his Angel of Temperantia form, his child like form turning into that of an adult, his short white hair growing long, down his shoulders with his bangs remaining out of his eyes, said shoulders widening and housing larger amounts of muscle than that of a small teenager. His clothing seemed to vanish in a blast of light, replaced with a silver breastplate of plate mail armor, the inlay of the metal seeming to glow as if painted with molten gold, large white and silver pauldrons coming down over his shoulders and upper chest, couters, vambraces, and gauntlets of the same designs covering each arm as well, a long tasset of shimmering metal and light covering the entirety of his legs, despite the bulky appearance of this armor his movements seemed as light and as easy as the wind still. Next four long swan white feathered wings grew out form between his shoulder blades and wrapped around him almost like a cloak resting upon his armored shoulders. With his form altered his access to his holy element would intensify and allowed him to supplement his shikai and bankai attacks with the element making them ideal for cleansing these lands. His zanpakuto turning into a miniaturized star that would float near the back of his left hand. Closing his eyes once more he extended hi left hand out, focusing on all twenty points of entry for the demons, taking a deep breath he would begin to use one of his bankai techniques but in a way he had never applied it in before, his seeking light attack. The attacks standard purpose was to pin and burn away all enemies, the light of his zanpakuto glowing as the energy built, but rather than pin enemies to the earth to burn he instead split the light into twenty equal beams and scattered them, each blasting out like a spear sent down on the world from an angry god, each spear finding its mark in the center of each demonic portal. From there radiation would come off of the compressed light, radiation and the holy might of angelic power, any demon coming near the rifts on either side would begin to crumble into ash, cutting them off from retreating and stopping new comers from joining in. This couldn't be sustained forever but it wouldn't need to be, collecting his mind Carter focused on the power of each spear and began to let them decompress, the energy blasting out of each rift like a small nuclear war head, blasting into the other side of the rift form wherever the horde had come from and disrupting the energy that held them fixed in place in this realm, closing them all. Part one of restoring order was met. Next, demonic energies perverted the very air, each breath taken causing more anguish to innocents to the last and from what his golden eyes could see it laced back to the general of this horde, the woman he had engaged with, and some how it had brought the dead earlier back to life before he sent them back under once more. Za Koa energy, demonic energy that he could feel in the air, it had spread through out several districts already and had potential to cause madness in the weaker willed spirits, it needed to be taken out. The only thing he could think to do would be to breathe out his own energy, the opposite of the demon energy in the air. So he did, focusing on his lungs he began to slowly exhale, feeling warmth raise up out of his chest and go out into the world, the energy coming into contact with the opposite of itself and the two powers burning out, leaving the air free of both influences, more signs of balance. Act three now, the clean sweep. He thought before going up into the air to survey the battlefield, a large amount of the demonic horde had spread itself thin but more than half had been near their respective portals and were now nothing more than ash on the earth. His eyes watched as they ran about trying to rally and collect themselves, they sensed the discord that wasn't their own and even the more brutish of them could sense their natural predator running wild, ending them in scores. “Truth demands you to embrace the light and be judged.” He whispered while using his wings to pull him up higher into the air. It was time for a true blow, chaos was dying, balance was returning and this would be the true blow that would send chaos into nothing and ending the horrible supply of power the woman from earlier commanded. Balance needed to be upheld more that righteousness, righteousness itself could be chaotic to those who didn't understand it and he didn't need to inadvertently power up his enemy, he needed to cut her off from her source of power and this would do it. Focusing his purifying power he summoned one of his most powerful attacks, making sure to non holy energy out of it making it an angelic attack only. His zanpakuto would raise up around his head and spin slowly like a star should, growing in size as four more specks of light came into existence around it, the main orb growing to the size of economy sized car while the other four grew to size comparable to tennis balls. From there he focused on the largest groupings of demons and pushed his left hand outward, all four orbs shooting off across the distracts, four more manifesting and following suit in random directions going toward demonic sources of power. This would repeat until twenty orbs had shot out, each orb speeding off until coming close to its targets before it would slow down and drop into the center of each grouping before expanding outward like a star going super nova. Twenty flashes of light blinded every frightened soul in the areas ravaged by war and when they faded twenty groupings of purified spirits stood dumbfounded, neither good nor bad, neither holy or demonic, just spirits. Carter having taken out the main destructive power of the Stellar Explosion attack and adding in his angelic ability to purify demonic entities, making them pure spirits once more to find a new path, a path of their choosing, making them neutral, balancing everything. When this was done he felt no more demonic sources of power, not even the woman who led these forces. During his concentration on weakening her power supply she managed to slip away and the zanpakuto spirit that had helped defend these districts had moved on to where she was needed next. The battle was lost for the demons on this front, relaxing his focus on his power his release state was suspended and he returned to his normal, small teenaged form, his zanpakuto vibrating in his left hand before he placed her back at his side and went to find where he would be needed next.